The roadmap to find these “Where’s Waldo” type images has stayed the same over the generations. First, go to the Settings app. Then, System and press About Phone. Got it? Good. Now, tap the Android version repeatedly until you see the hidden treasure pop up on the screen. The commonly accepted birth of the Android Easter egg seems to point to Gingerbread being the first OS build with one included. As with most early ideas, it’s arguably the weirdest one on our list. Yep, you see that right. 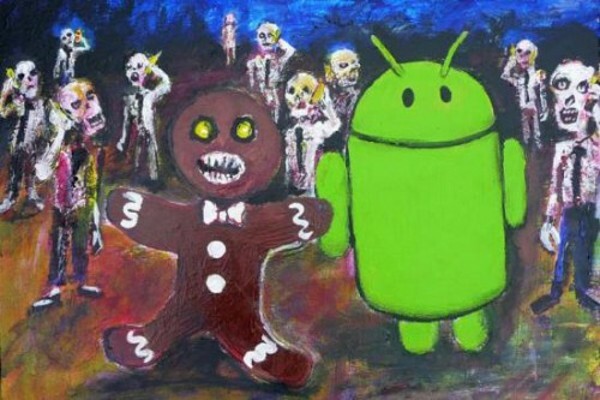 It’s a zombie Gingerbread man hanging with the Android logo being flanked by a crazed zombie mob. Look, at least they are all using phones that you’d assume are running Google’s favorite OS. Android Honeycomb came with a multitude of changes for the OS. From the “Tron-style” UI changes to the first tablet elements, Honeycomb saw a maturation of the Android operating system that laid the groundwork for where it is today. The Easter egg also saw a much more polished look. 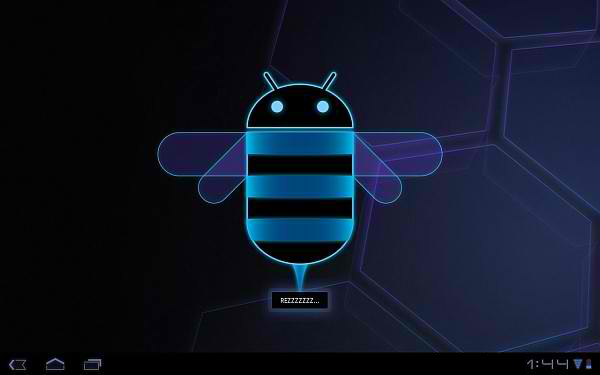 Honeycomb stayed true to its moniker and saw a buzzing Android honeybee in the hidden option. Oh, and if you press the Bugdroid you would get the nice “REZZZZ” text, which is another homage to Tron, as Rezzing is the word for creating an object in the film. Ice Cream Sandwich was seen as a “small” Android release. It did, however, see a new design language that was a continuation of the groundwork laid in Honeycomb. It even got a name: “Holo.” ICS also brought a new twist on one of the most popular internet memes of all-time. Remember Nyan Cat? Yep. The flying rainbow cat. Well, this Android Easter egg borrows heavily from Nyan and starts as an ice cream sandwiched Bugdroid. When long-pressed, the Android mascot becomes a sky riding entity very similar to the Nyan Cat. Android saw even more additions in 4.1 Jelly Bean. Notifications and the lock screen got an overhaul. It was also the first time that Google moved to Google Chrome as the default browser. Easter eggs were kind of a thing by this point and Google continued the tradition with a sweet, smiling jelly bean. Tapping and holding the bean-shaped licorice caused the screen to be filled with even more small jelly beans. So, what was the fun part? As the beans bounced around you could manipulate them by flicking them around the screen. 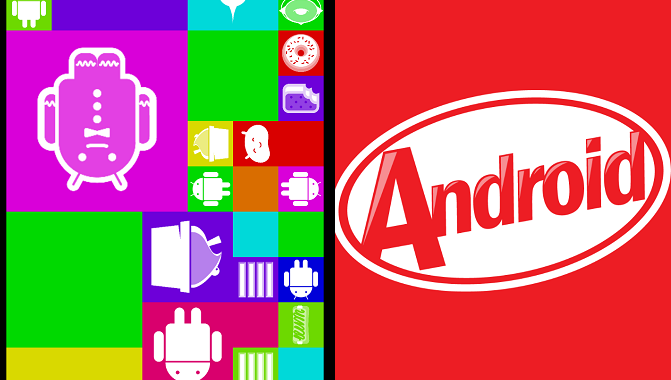 Android KitKat wasn’t seen as a major update, but it was named after one of my favorite chocolate treats. This was news in itself because it marked the first time that Google used a trademarked moniker for an Android release. Google Now is probably the most notable addition found in KitKat but we weren’t denied a new Easter egg. Once you went through the previously mentioned tapping through the settings. This presented you with a simple splash screen with the letter “K” which you could spin by moving it around with a finger. Tapping it presented a KitKat themed red wrapper with the candy name replaced by the word Android. Tapping this would then drop you into an interesting tile layout with logos paying homage to all the previous Android version. I’ve grouped these two together and I promise there’s a reason. Remember the app crazy popular game called Flappy Bird? Well, it was a big deal for consumers and it must have been at Google as well. The company tipped its developer hat to the mobile game on the Easter egg for Android 5.0 Lollipop and 6.0 Marshmallow in back to back releases. Tapping the Android version opened an image with nice, orange lollipop aptly named “lollipop.” If you continued to tap the stick candy it changed colors, and when long-pressed, you were launched into a very Flappy Bird game avoiding obstacles while flying along as the Bugdroid mascot. Android 6.0 followed this with a similar scenario, but with a few twists. First, you had to avoid floating marshmallows as your main source of barriers while flying about. The big kicker was that this version of the Easter egg brought multi-player functionality to the encoded game. There are additional plus and minus icons at the top of the screen to allow for up to 6 players to interact at a time and add quite a bit of challenge. Lollipop and Nougat received closely related versions of their Easter eggs and came with its own duality in a different way. Android 7.0 technically had two releases of its Easter Egg and both were completely different. The first came in the form of another popular internet sensation and the Android N developer preview 4. 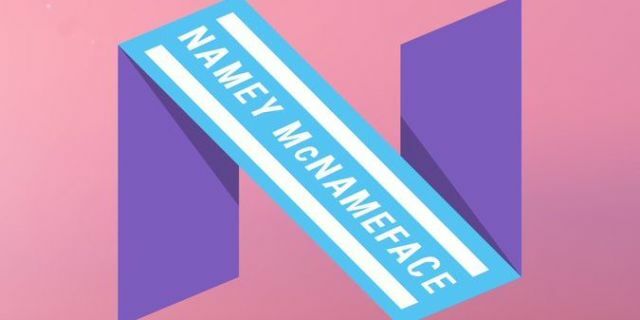 “Namey McNameface” is a nod to the Boaty McBoatface meme that swept the web after British intelligence left the internet, yes the internet, to vote on the name of its new research ship. Well, people are funny (and sometimes the worst) and they overwhelmingly chose Boat McBoatface. Unfortunately, it didn’t last long on the dev preview and was replace when Android Nougat became official. 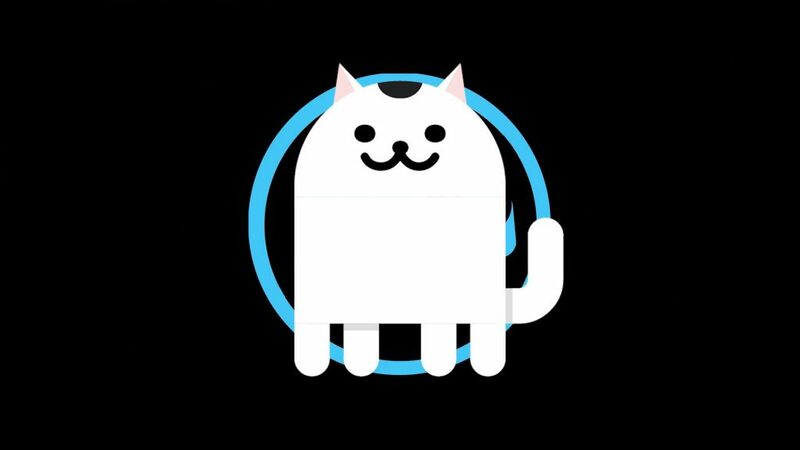 Yep, instead, it was another cat-related game that took over in Nougat’s proper release. Namey McNameface was replaced by Android Neko. This is a nod to a popular Japanese game with the main goal of collecting cats. Just like all the Easter eggs before it the hidden feature is revealed with the same UI combinations from Settings. One key difference is that once it’s turned on the Neko cat game is played by turning on a new Quick Settings toggle in the notification shade. A new option will be there for “Android Easter Egg” and you can add the new cat-themed icon to the shade toggles. Once launched, you have an empty dish and you have to lure kittens to the plate by adding food to the dish. After this, you can then add, delete, and rename the cats in your collection. While Android O was monikered with another trademarked name of Oreo, it was also an ode to the latest Easter egg to be found in the OS. Getting to the nugget is the same all story with trudging through the Settings and tapping the Android version several times. Then you are greeted with a giant “O” that looks understandably similar to an Oreo. After a long-press of the Oreo, you are launched into an ocean scene with a floating octopus with a head that’s actually shaped like an Easter egg. While he’ll happily splash around all on his own, you can use your finger to maneuver the sea creature around the screen. As you slide him across you will see the octopus change size and alter to the corners and edges of the phone. Every one likes Pie. And if you don’t, I simply don’t trust you. 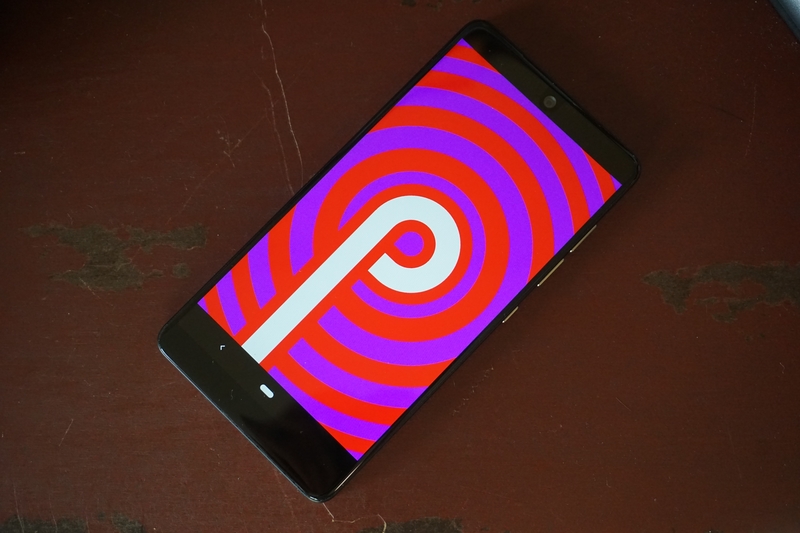 Android 9.0 has been a huge overhaul of both the UI and backend processes. We’ve also seen a huge push of Google’s artificial intelligence getting a more user-facing existence within the OS. However, when compared to its heritage, the Easter egg is very colorful but also subtle. You will need to navigate to your trusty Settings in the Menu and go through the taps of the Android version. 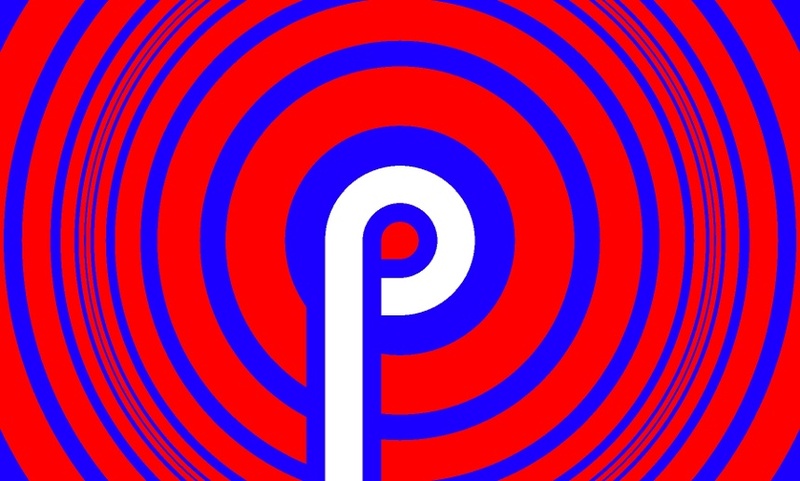 Then you are presented with a crazy psychedelic splash screen with a “P” on display. This time, there’s no game or cute creatures. The longer you keep the screen active the rings move and the colors change. You can also pinch to zoom it. That’s it. Simple but don’t stare too long. Those are all the Android Easter eggs currently available in Android today. People have their own personal favorites, but which one is yours? We’d also love to hear your ideas for what might be there in Android “Q” next year. Hit up the comments to sound off with your suggestions and favorites.